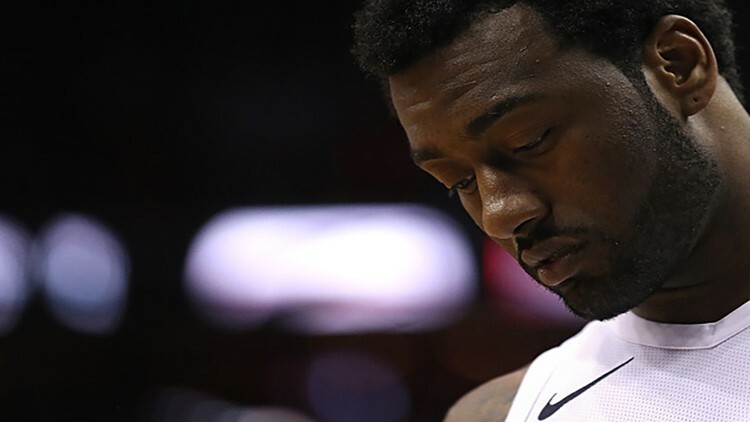 Wizards guard John Wall disclosed that his mom is battling cancer in an interview during the Wizards game against the Cavaliers. WASHINGTON — When it rains, it pours for John Wall. The Wizards guard, who will miss the next 11-15 months due to injury, disclosed that his mom is battling cancer during an interview with NBC Sports Washington's Chris Miller. Miller asked Wall how he was feeling and where his spirits were after the latest setback. "My spirits are great," answered Wall. "Spent time with my son. Spent time with my mom, who's battling cancer, but also having the support from the organization." Miller also asked Wall who he is leaning on after the latest injury setback. "Like I said, God don't make mistakes," replied the Wizards guard. "He gives his toughest battles to his strongest people. So I can't wonder why he did this. Probably is a time for me to spend with my mom when she's battling this cancer, to be there for her, and also be there for my son. But also to be there to support my teammates, and still be the leader to this organization." Wall lost his father to cancer when John was 9 years old.